Water Street Home Where Does Your Tap Water Come From? That question is not rhetorical. 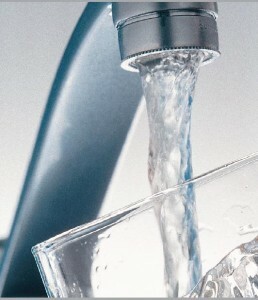 Before it reaches the pipes in your home, do you know where your tap water comes from? I’m going to answer for you here and assume that you don’t, because 77 percent of people don’t know where their tap water comes from. (This doesn’t include people with private wells). The entire concept is so much more complicated than you can imagine, and I may just be able to educate you all a little bit on the subject. Water isn’t just coming from your local stream or river. Take California as an example. Across the state, tap water comes from places that span over 150 million acres, from Wyoming to places within the California’s own borders. It comes from lakes, streams, and even glaciers. It’s important to understand the map of your tap water source because the quality of water to a great degree depends upon the land around it. While I’d like to explain that process to you here, I think this video of a third grader explaining it is much cuter, and no less informative. The Nature Conservancy has mapped where water sources are around the world, so you can find the area where you live and then find where your water is coming from. Again using California as the example, what the Conservancy found is that only 16% of the water source area is highly protected and surrounded by national parks or wilderness areas. A staggering 84% of California’s drinking water sources are potentially vulnerable, 51% is public land which is moderately protected. Public land where water comes from is used for other things, like logging, mining, and energy production. All of that activity increases the chances of source water contamination. If the source is on private land, the owner must adhere to local laws concerning water, but contamination risk also exists there. We can safely agree then that protected water is found in areas where nature has safeguarded it, for lack of a better word, naturally. Urban development, inappropriate land management, and climate change all affect the quality of our drinking water. Of course, before any drinking water ever reaches you, it is going through quality control measures at local water utilities. But if you take the time to learn where your drinking water comes from, you can help to better manage it, advocate for better protection, and keep everyone around you healthy.